October has always been special to me and my sweetheart. This year is no different. We are so blessed to have spent 51 years together as man and wife. Married when we were young we are still able to enjoy spending special vacations to commemorate our long lasting love. We decided to take a trip to Hawaii for our anniversary this year. We both needed easy travel plans for our adventure this year. 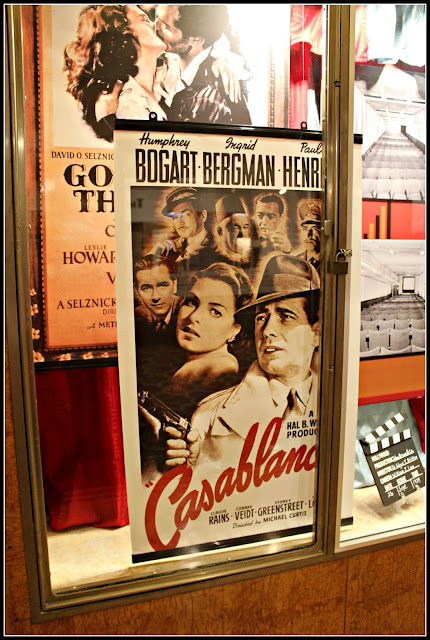 So off we went on our two week trip to Los Angeles by air and then a cruise to the islands of Hawaii. 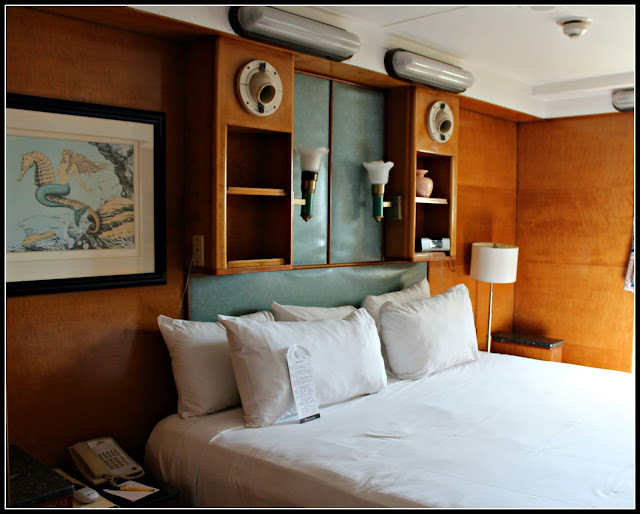 A cruise is always so relaxing and we both looked forward to resting as we cruised the beautiful Pacific. We arrived the day before our cruise, and made plans to stay on the Queen Mary that is now a hotel. 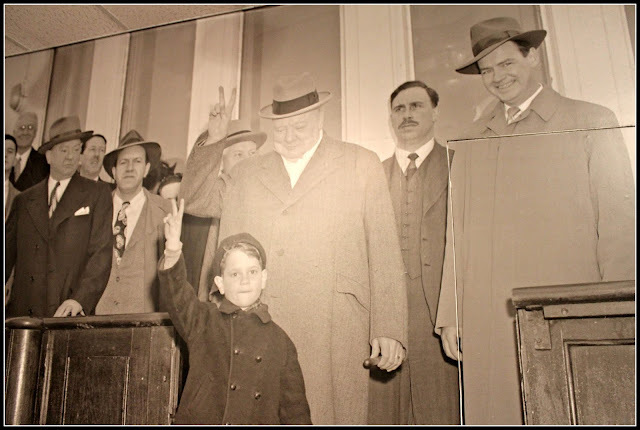 Having been on the Queen Mary 2, Grayden really wanted to visit the original. On a previous visit when our daughter was a one year old, she and I boarded this vessel within the first year of its docking in Long Beach. It's been renovated and spruced up a lot since then. We were not disappointed! How wonderful to explore this historic vessel and spend an evening on board. 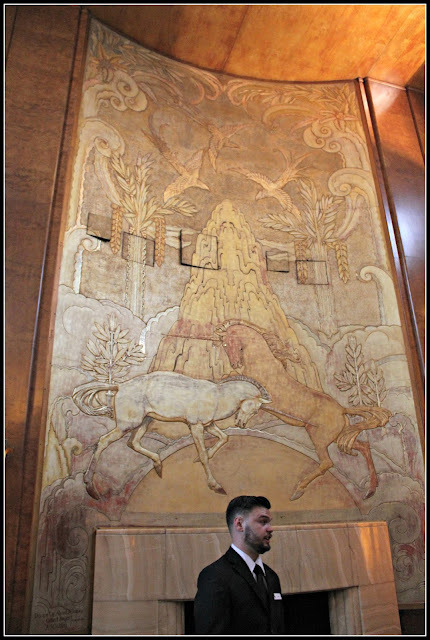 After checking into our state room we marveled at the size and the Art Deco decor that has been preserved. I'm not sure what class stateroom we occupied, but it is much larger than the ones we've occupied on other ships. As I sat at this vanity, I couldn't help but wonder what faces of the past have stared into this mirror! 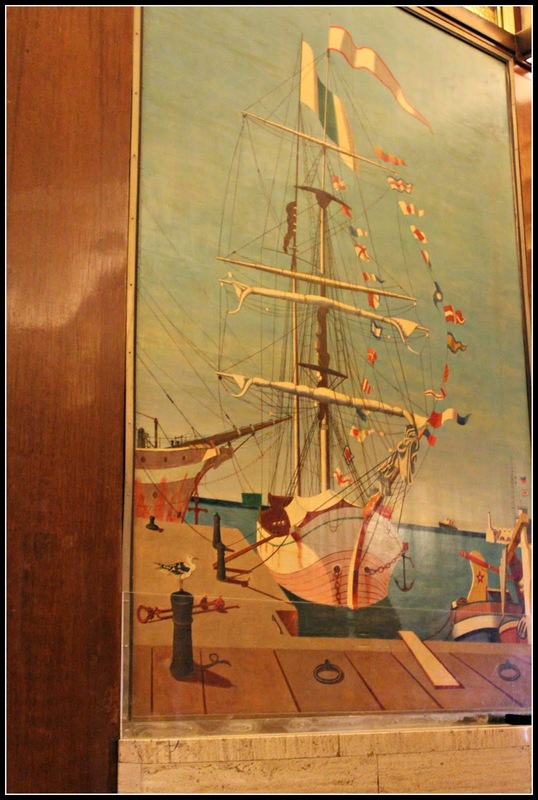 Upon leaving our stateroom we began to wander around this beautiful old ship. 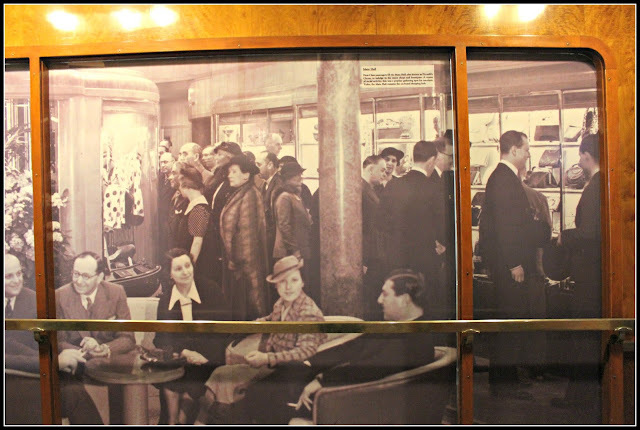 Many famous folks enjoyed transatlantic crossings aboard the Queen Mary. 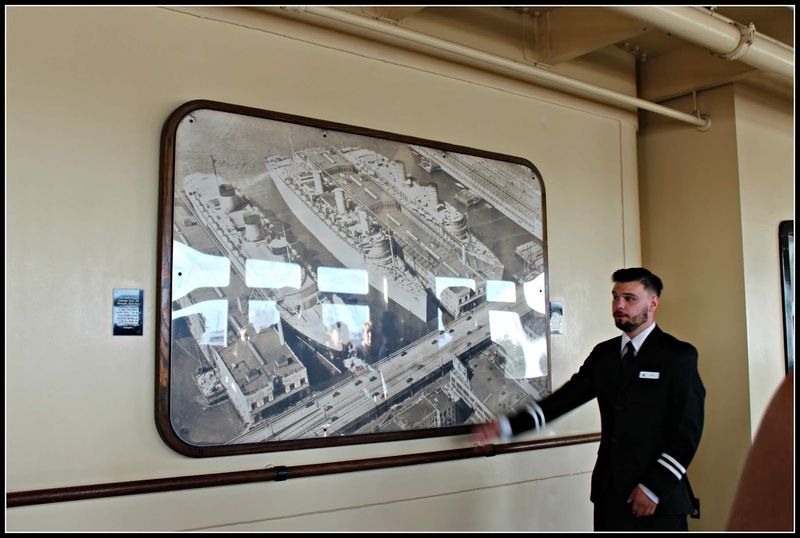 The Queen Mary is not only a floating hotel but quite a museum full of her history. For all you Susan Branch fans (and who isn't ?) 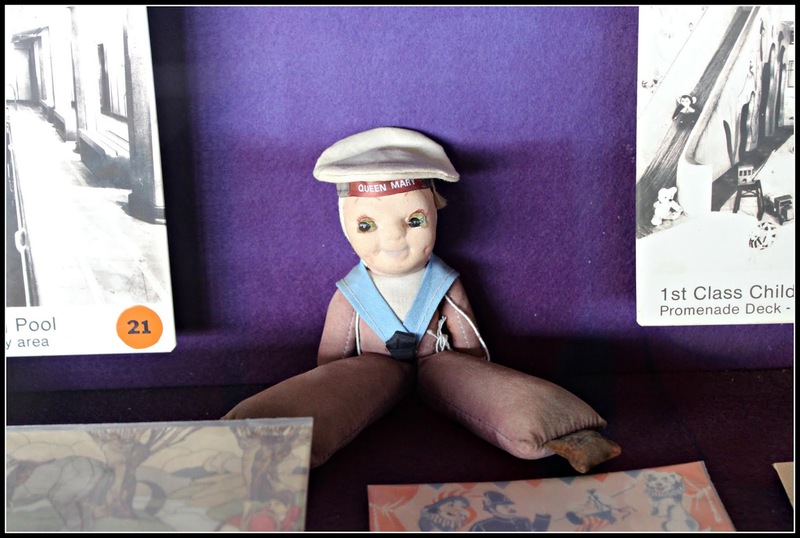 this little doll reminds me of Joe's Petey! 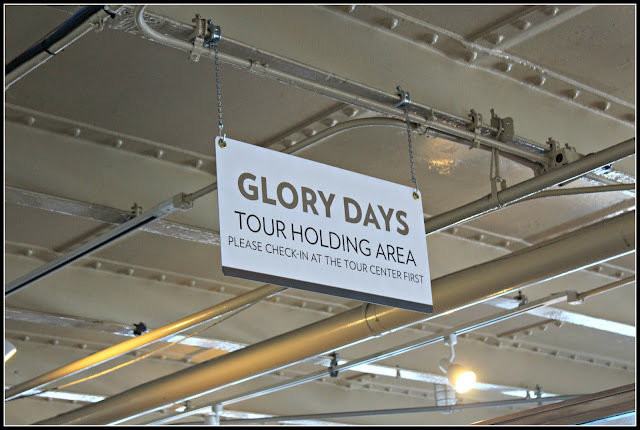 We noticed that there are tours one can take and we decided it would be fun to take the "Glory Days" tour to learn more. How interesting and informative our guide made the days of the Queen Mary's life come alive. 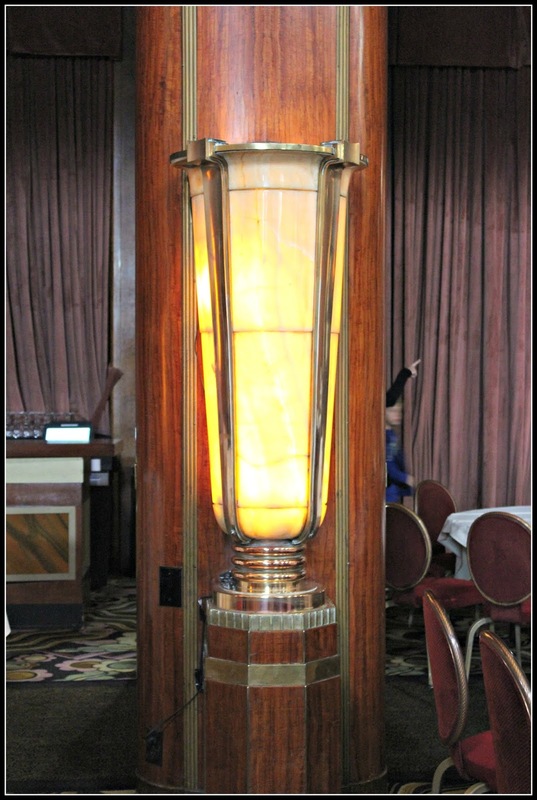 The Queen Mary was a class ship full of opulence and over the top decor in the Art Deco manner. 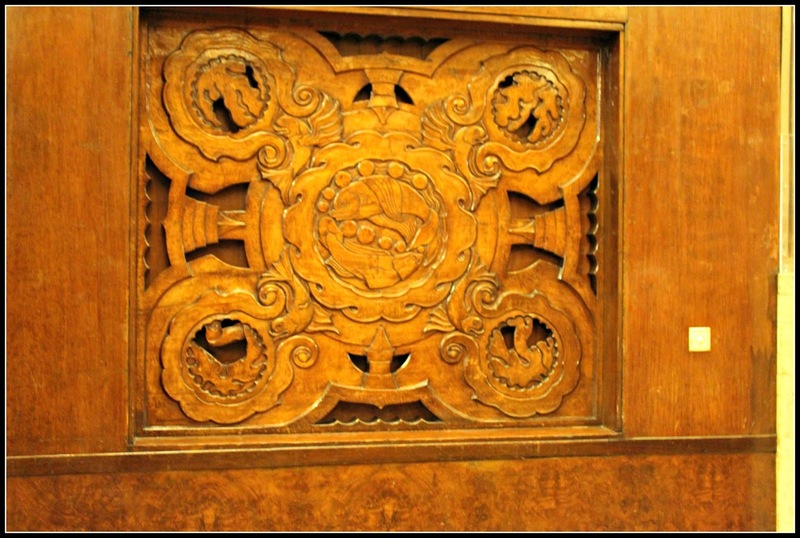 She is especially known for her beautiful different tiger wood and inlaid woodwork. 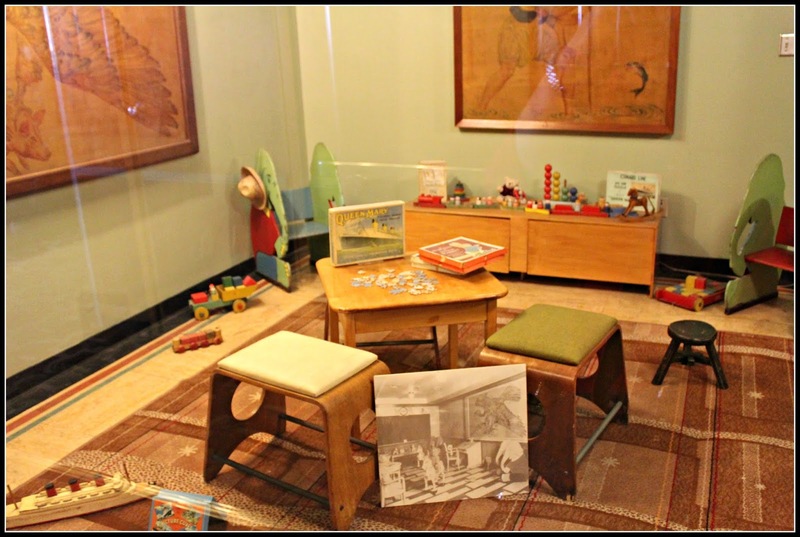 Children enjoyed this playroom back in the day. Even Princess Elizabeth played in this room as a child! 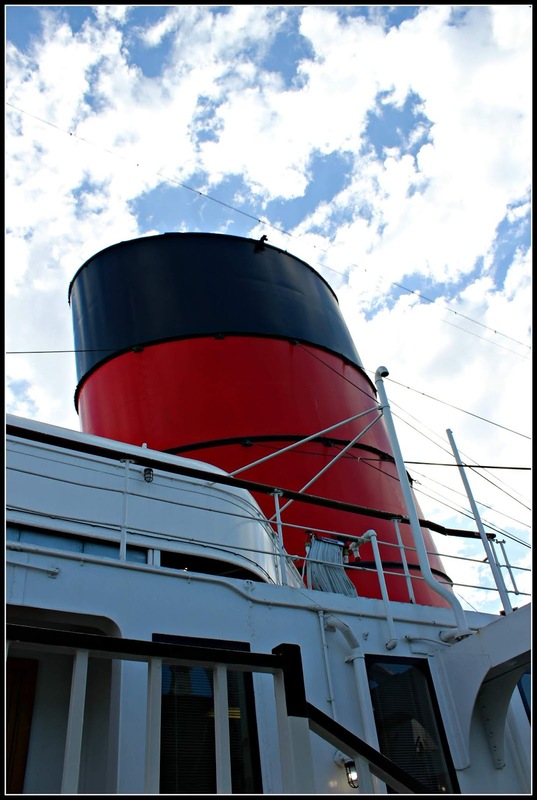 We learned that the Queen Mary was longer than the Titanic! She carried over 750,000 troops during WWWII! She was known as the Grey Ghost during that time as she eluded the German torpedos by out running them as she safely protected her precious passengers. She was painted grey so she would not be recognized. Grayden really enjoyed this tour. He worked for the US Navy his whole career. We both felt honored to be walking along the same passages as the famous and the amazing soldiers who made their way from and back to safety. 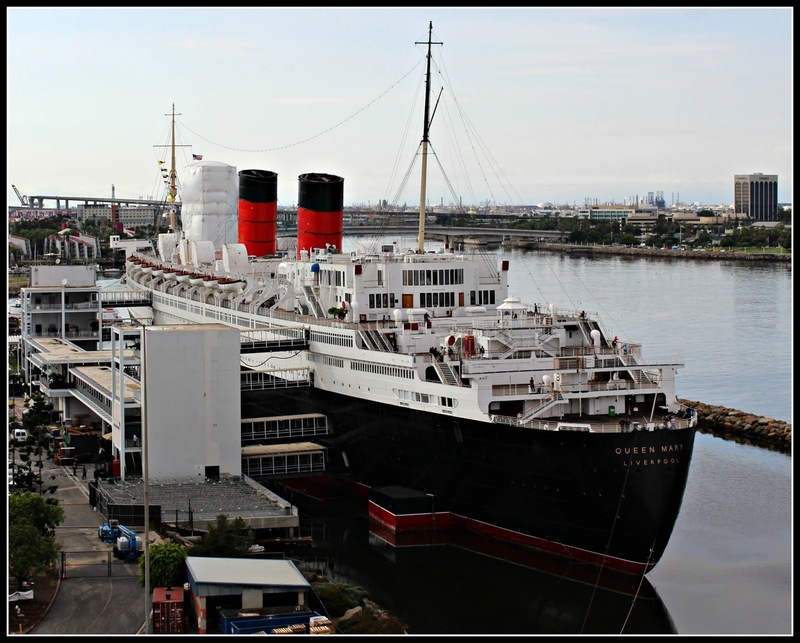 The Queen Mary is still undergoing renovations as she is an old queen now. I'm so glad that by staying with her we are helping to keep her alive a little longer. Your opening paragraph had me weeping. What a wonderful marriage you two have shared, full of happy memories, and still making yet more happy memories. What a scrapbook and journal you must have. The Queen Mary is one of the old school ocean going liners, and I wonder how you compare her to the others you have sailed on? Did you miss the lulling rocking of the ocean waves? Looking forward to Hawaii next! Oh Deb, we both are so blessed to share our lives together. We both can hardly believe we've been married 51 years. How can it be? The Queen Mary is in a class alone in our opinion! She is a Grand Old Lady that will never be duplicated! As we learned on the tour she was referred to as "Rolling Mary" so I'm kind of glad not to be crossing with her. The days before stabilizers would not be kind to my stomach. Grayden says they call this a "fast cruise" as we are tied "fast" to the pier. 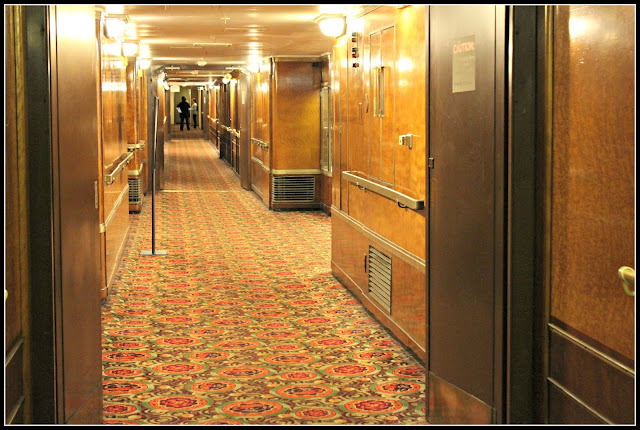 I think I prefer our "fast cruise" on the wonderful Queen Mary to an actual one. Well, you brought this Grand Old Lady alive with your super photos Martha Ellen. What a great place to spend your special anniversary. We were living in Long Beach and it hadn't been there long - I don't think - when we went on board. My parents were visiting and our son was in a stroller. Thank you for sharing her again with us, it's been lovely to look at them all. 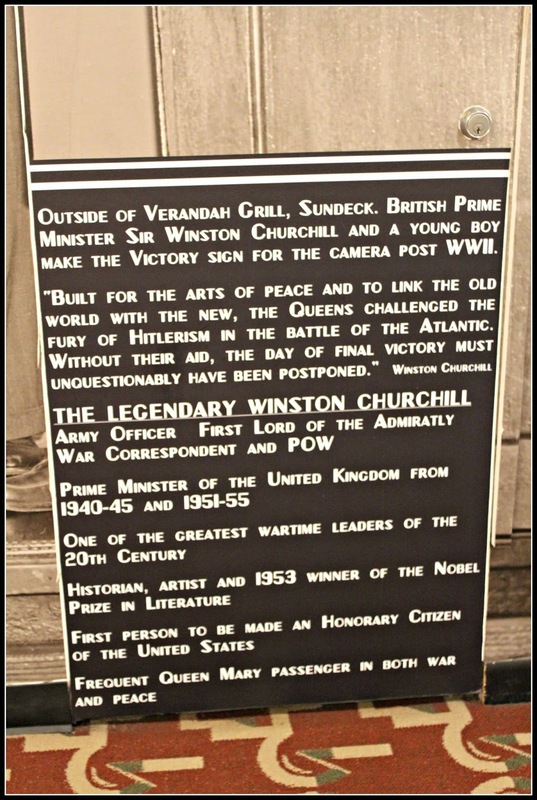 What a history! A Very Happy Anniversary to you and your hubby. It sounds amazing and the Ship so interesting and Historical. Belated Anniversary wishes and what a trip you have had. It as a joy to be able to share the tour of that amazing ship. It is one of the reasons I love the blogging world I get to see things I can only dream of. Thank you for sharing this amazing experience. 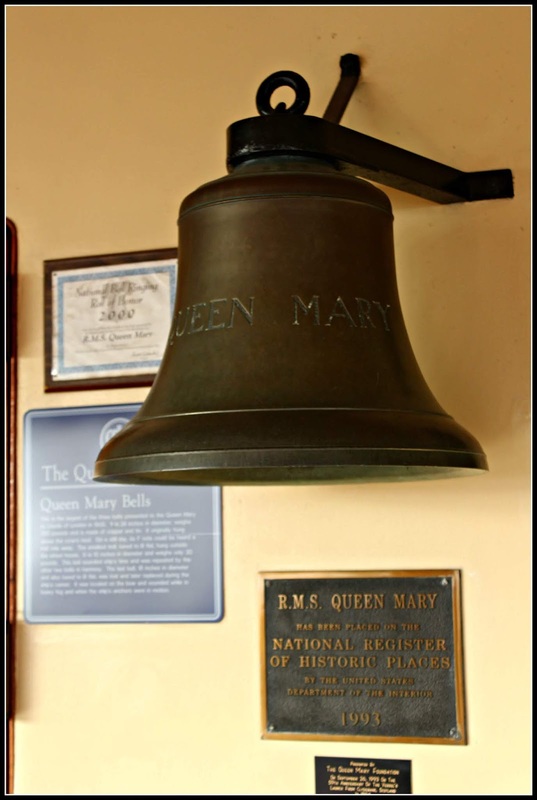 How grand it was that you could spend the night on Queen Mary 2's predecessor! Did you keep feeling like you were about to "get under way?" 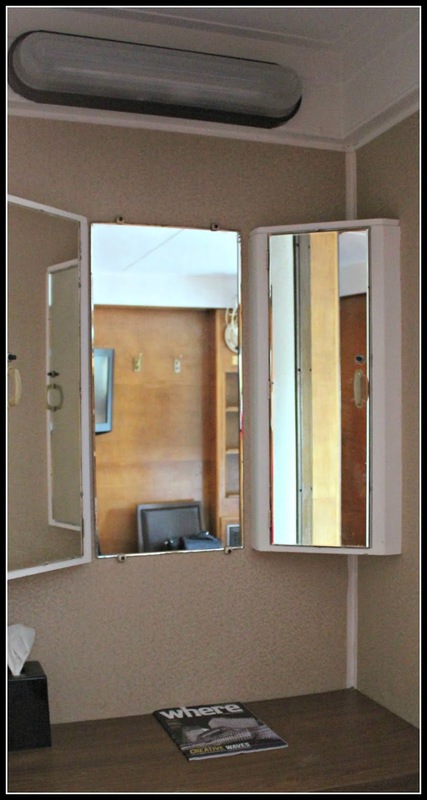 The size of your room must have felt like you were part of the upper class of days gone by. The history part would be my cup of tea, too. Who knows who actually occupied your cabin! Happy Anniversary! I loved this post! 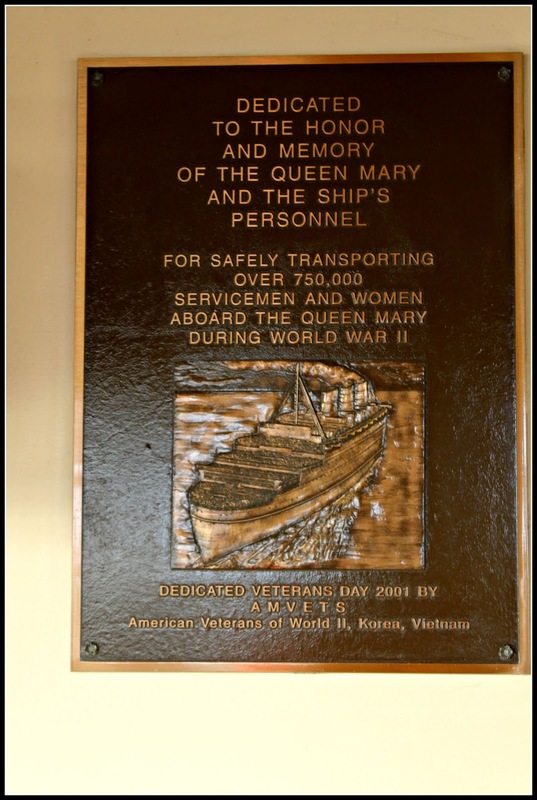 I hope to do a cruise of the Hawaiian Island one day, and now I want to stay in the Queen Mary for one night when I do! We were fortunate enough to sail on a cruise on the Queen Mary 2 from New York up New England into Canada in her maiden year for our 30th anniversary,and enjoyed the ship and cruise very much. Oh wow- I would love to do just this! 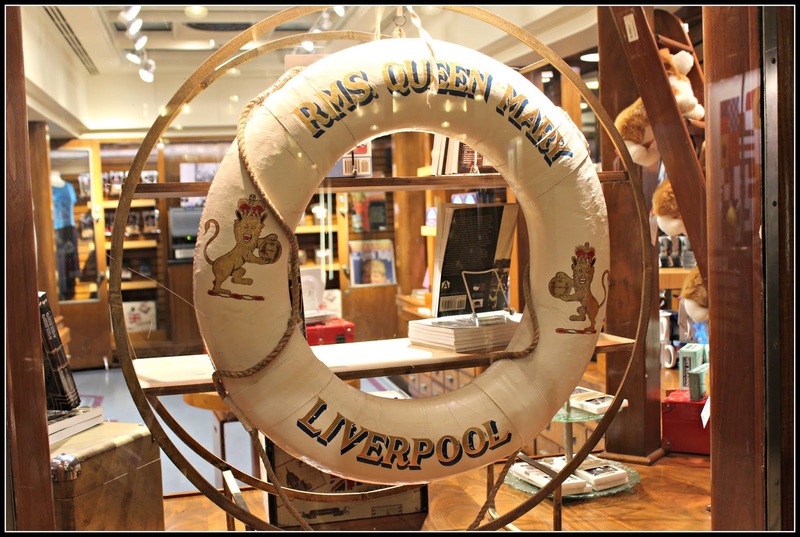 I’m not keen on long flights so I’ve envisioned heading to England on the new Queen Mary II. I love the beautiful details inside the Queen Mary. I hope I can get a chance to tour it some day soon! Can’t wait to see more pictures of your vacation. I suspected that you and Grayden were off celebrating your years together, so I didn't worry about you as much as I did last year! And what a lovely celebration you had on the Queen Mary 2! Yes, I'll be following along! Martha Ellen, I totally agree with the need for privacy, as well as the joy of living in the moment when you're traveling! 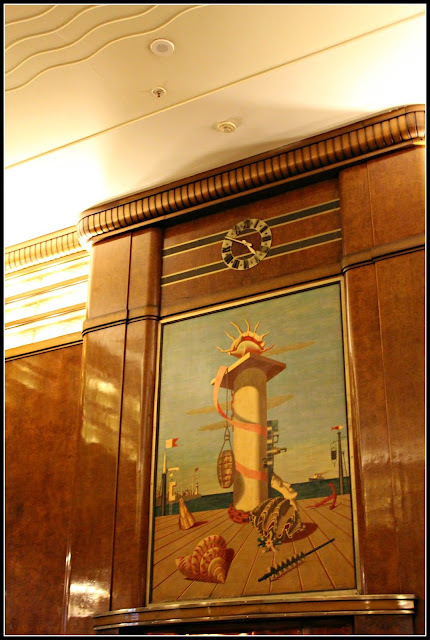 I'm over the moon reading your wonderful post of the old Queen Mary. What you did not know is that I'm fond of cruiseships as I used to be secretary of the board of directors of Holland-America Line in a distant past and I visited cruiseships very often when they were in Rotterdam. I also have old photos of the Queen Mary when I was in Southampton. So you will understand I love this post with the beautiful photos of the interior. Thank you so much Martha Ellen. Happy Anniversary, Martha Ellen. Wow, 51 years, that's very special, indeed. Hawaii is a wonderful place to go for your anniversary trip. Your stay on the Queen Mary sounds fun and interesting. 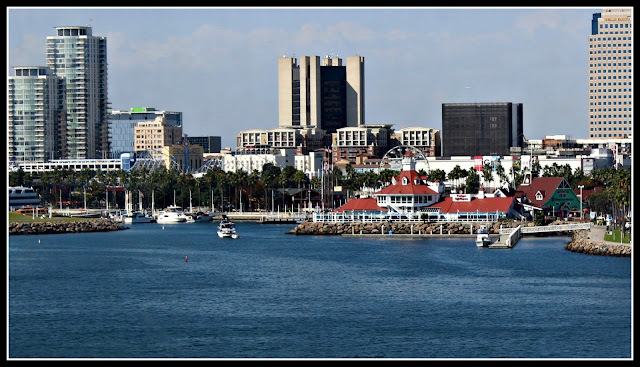 Being a California gal, I'm very familiar with Long Beach, as you mentioned. 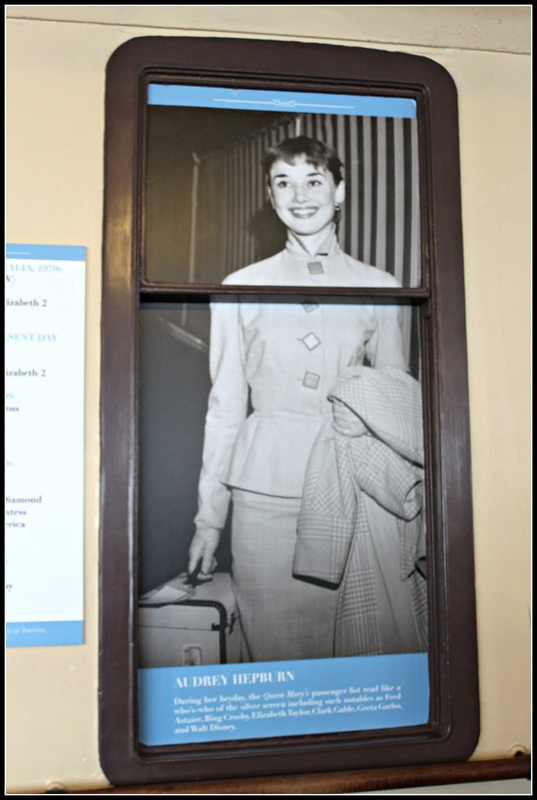 The old pictures through the windows are charming, and I especially liked Audrey. What a beauty she was. 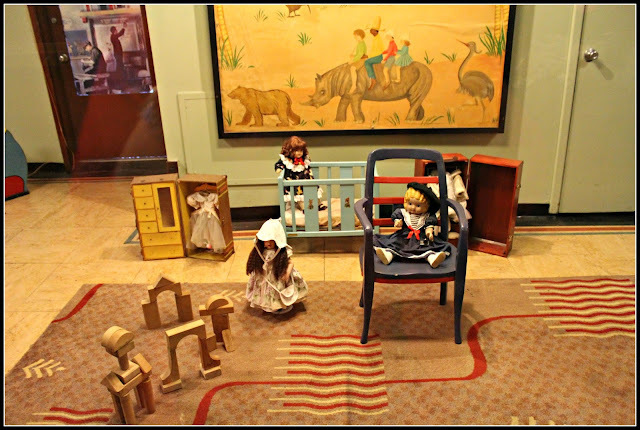 I love that little doll, and the playroom is delightful. 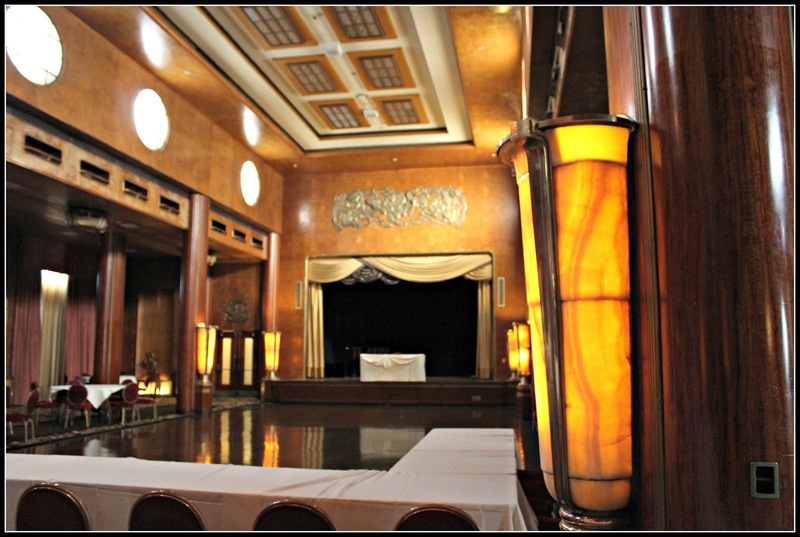 The Queen Mary is a grand ship, and just the right one to stay on for a grand anniversary. Thank you so much for your kind thoughts, Sheri. We enjoyed our short visit to California and then on to Hawaii. 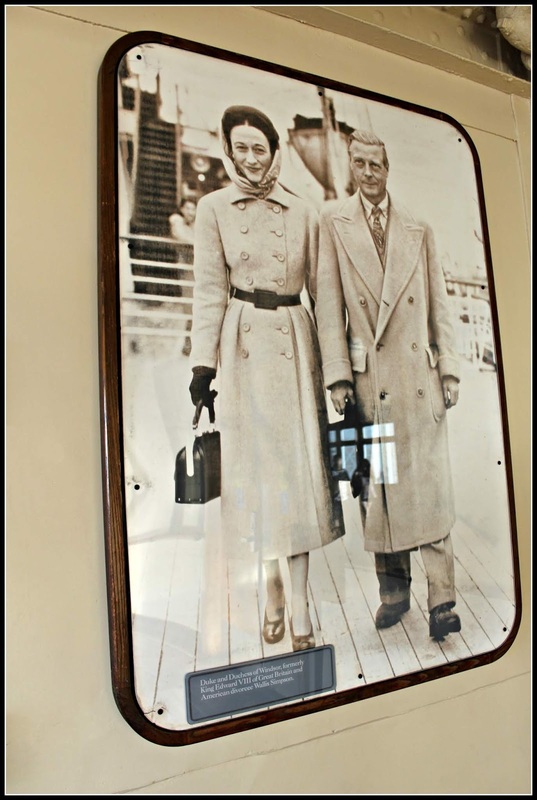 So many famous people used the Queen Mary for transatlantic crossings. 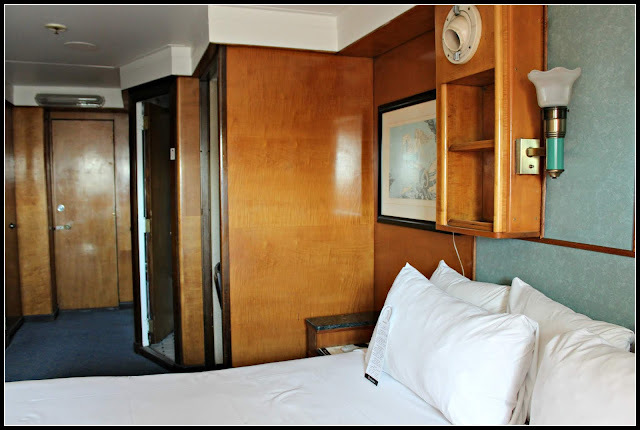 We were so happy to begin our adventure by spending a night on this historical ship! Happy Anniversary! What a grand tour you took us on. Enjoyed every minute. Longer than the Titanic, what a massive ship. What you said about staring in the mirror and thinking about how many faces of the past did the same made me wonder the same. I like that thought. Our three grands live in Hawaii, I don't think they will move back where we are. My husband lived there for 4 years in the military. I have never visited. A beautiful place for sure. Thanks, Betsy. I think I hear a good reason for you to take a trip to Hawaii. What a beautiful introduction to your post Martha Ellen! To have a love for over 50 years is truly special and it should be celebrated! Wonderful pictures, it looks like you had a great time! Wishing you an amazing week! That is very wonderful.. Happy anniversary to both of you. 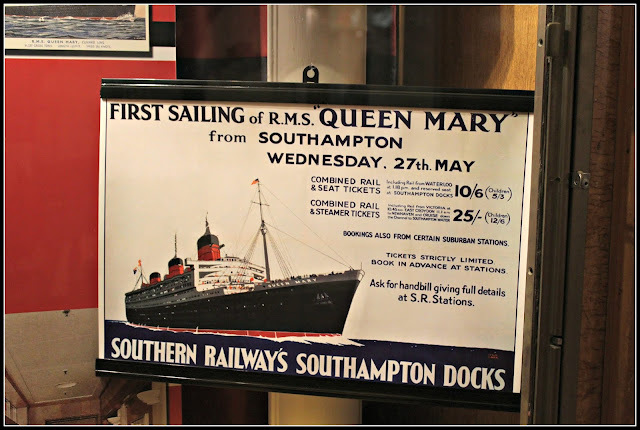 I enjoyed the wonderful pictures of queen Mary..
How wonderful! The old Queen is a beauty still. I so enjoyed learning more about her. Happy anniversary to both of you. And thank you so much for sharing the photos and lovely commentary of your experience so far. I learned so much and enjoyed every picture. WOW....now you have done it....I want to cruise! I have not been on one since 2009! And Hawaii, that would be a great cruise. My daughter in law has put in for her internship in several states. It will probably be a yr before we know which hospitals tag her and want her but Hawaii was one state. Told them if they go there I will be making a visit since they will be there for a yr!!! But....I figure it will not be there. Course to be nice to my son she applied at a couple of hospitals in TN also. It is a wait and see thing now. Great pics...I love cruise ships and the last time I cruised it was at Halloween always wanted to do a Christmas time cruise. Bet those ships are decorative to the top! Thanks for sharing. 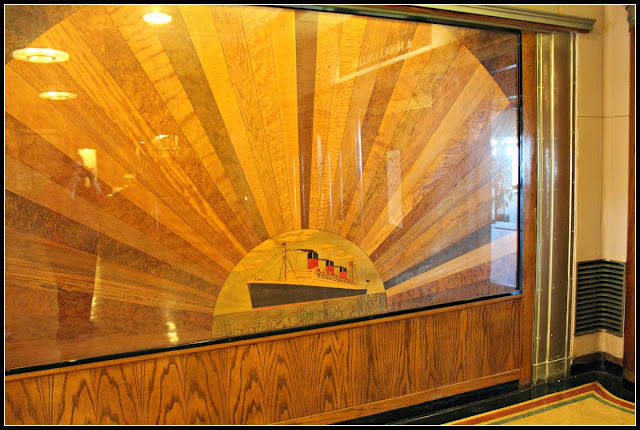 Martha, how wonderful that you got to stay on the Queen Mary! Several years ago I was able to experience their afternoon tea with a couple of friends on holiday, and we all thought it would be such fun to stay overnight, but that just wasn't on our itinerary. Thank you for your well wishes last week (getting better every day). Jean, I'm so glad to hear you are better! Take care as you recover. How fabulous! And you are right...who else has looked into the mirror you looked in! What wonderful history. Some of the books you read that have this ship in it will mean even more to you now! Happy Anniversary to you both! You celebrated in style! What a nice way to celebrate your anniversary! I have never been on a cruise, and actually have never had any inclination to travel the great oceans for days on a boat. But you're definitely making me think twice about this. I would love to tour the Queen Mary. Your post was so full of great photos and information. I'm sure that Hercule Poirot would have loved the decor! 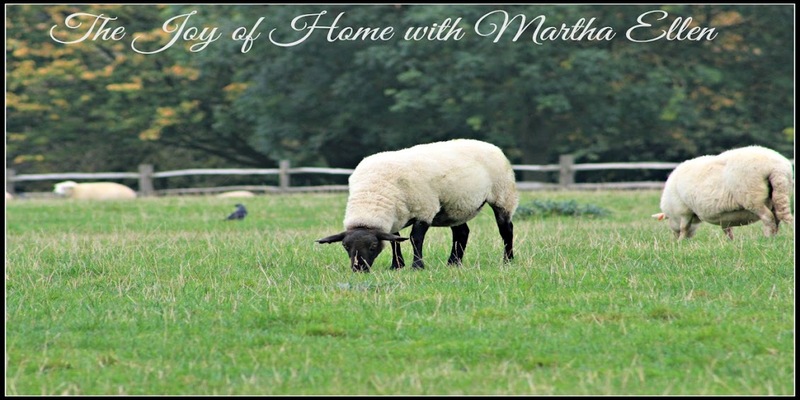 :-) I really enjoyed this post, Martha Ellen. A most special way to celebrate your Anniversary. What a fabulous post you have provided, full of lovely pictures and great information.